On The Night Manager Season 1 Episode 6, Pine gets closer to his end goal, but Roper's suspicions are growing placing everyone in serious danger. 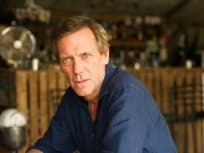 On The Night Manager Season 1 Episode 5, Roper hunts for the traitor on his team while working with Pine to complete the arms deal in Turkey. 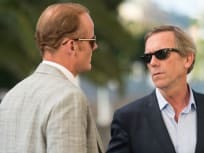 On The Night Manager Season 1 Episode 4, Roper welcomes Pine into his inner circle, while Angela worries that key information has been leaved to River House. On The Night Manager Season 1 Episode 3, while recovering in Roper's villa, Pine starts to dig up secrets about other members of the household. On The Night Manager Season 1 Episode 2, Pine is sent to Devon, England to build a cover story which will help him infiltrate Roper's inner circle. 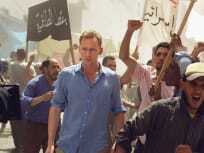 On The Night Manager Season 1 Episode 1, Jonathan Pine, the night manager of a Cairo hotel, makes a decision that will change his life forever. Sophie: Have you always been the night manager? Jonathan: It's my profession, yes. Jonathan: I think it chose me. Sophie: It's a shame. You look fine by the light. Permalink: I think it chose me. Freddie Hamid is everything the protesters hate. Incredibly wealthy. Corrupt to the core. Permalink: Freddie Hamid is everything the protesters hate. Incredibly wealthy. Corrupt to the core.